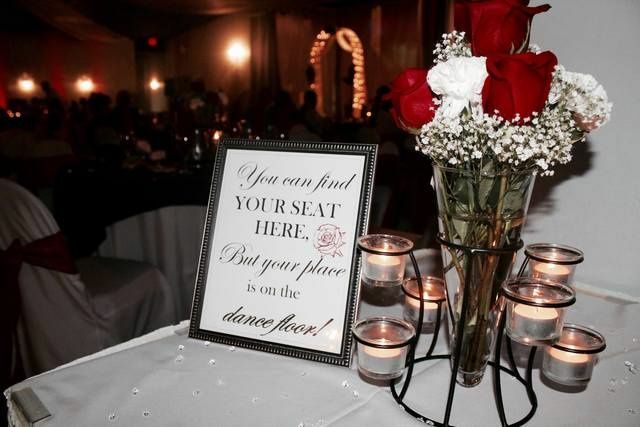 La Venezia is a traditional ballroom venue for couples’ weddings in the greater Cape Coral, Florida area. 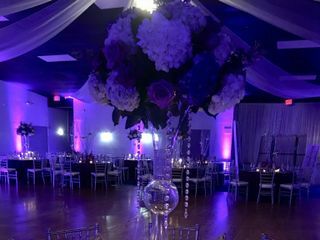 This ballroom features an open main room with a massive tiered chandelier, a patio for ceremonies, and stunning views from large windows. 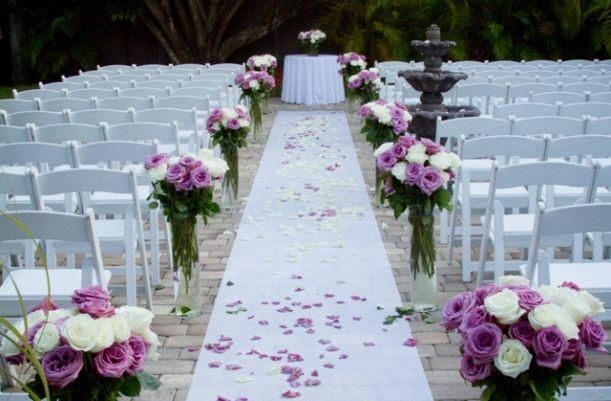 Couples will find this venue only 20 minutes from downtown Fort Myers, Florida. 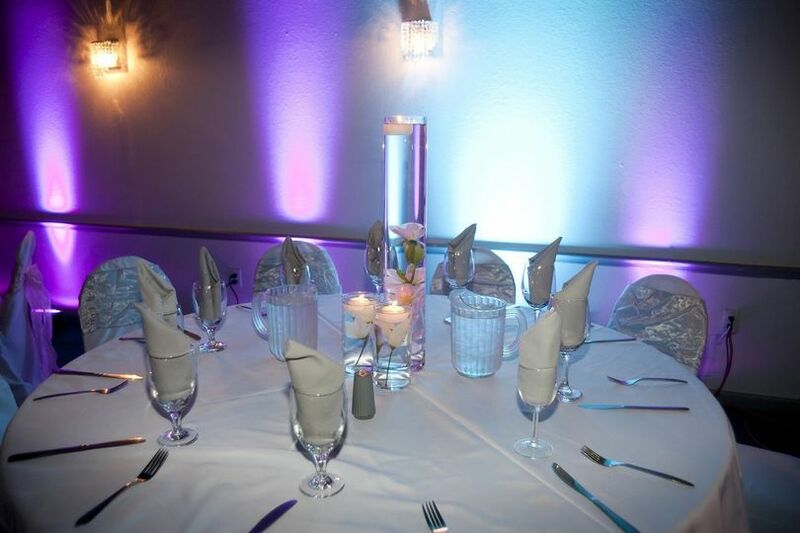 Couples can invite up to 300 guests to their wedding at La Venezia. 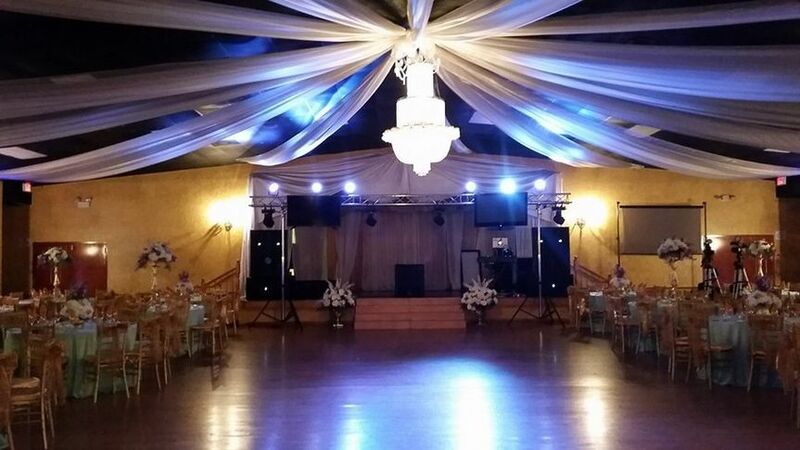 This venue features a large main room with smaller areas for ceremonies or cocktail receptions. 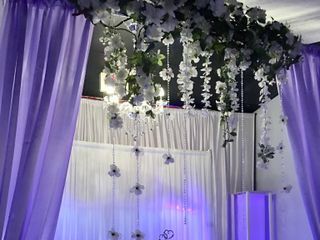 Couples can host weddings large or small in this venue. The banquet hall features indoor and outdoor locations. Couples can marry on a patio surrounded by palm trees with carefully laid bricks beneath their feet. 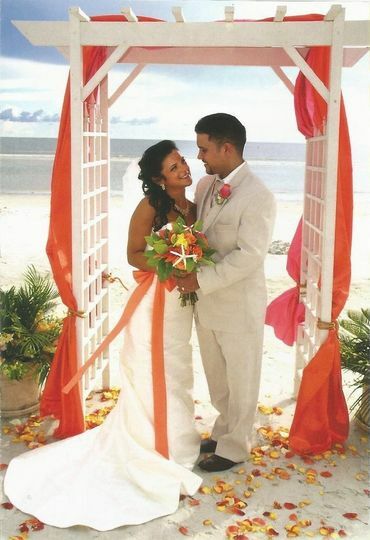 This is the perfect way to have a tropical wedding ceremony with more comfort and elegance than a sandy beach. A twinkling fountain even adds the calming sounds of water during the ceremony. Couples can then take the party inside to the main ballroom. This area has enough space for a seated dinner and a dance floor. 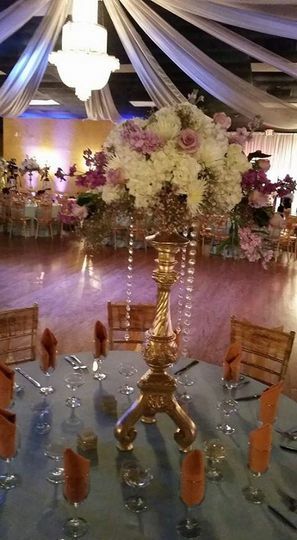 The ballroom at La Venezia has high ceilings and a gleaming crystal chandelier. There’s even a small stage area for a DJ or a band to play. In addition to wedding ceremonies and receptions, couples can also host bridal showers and engagement parties. 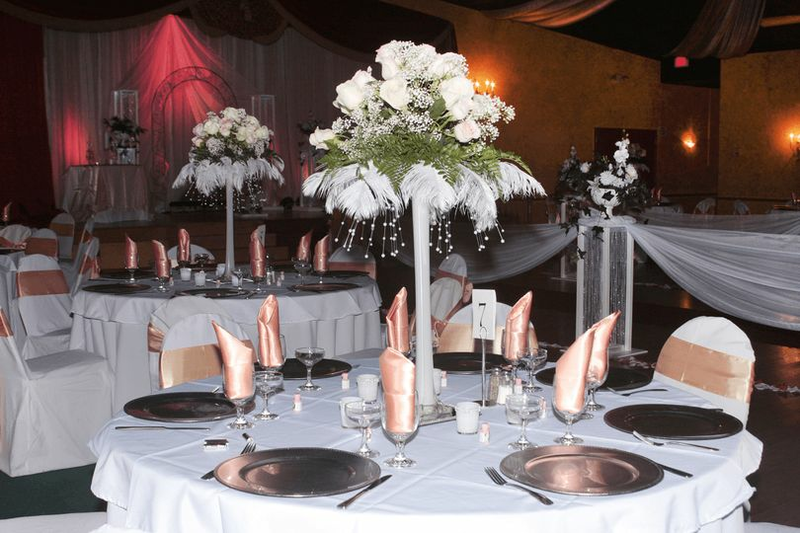 Couples will find plenty of assistance with their wedding when marrying at this classic banquet hall. 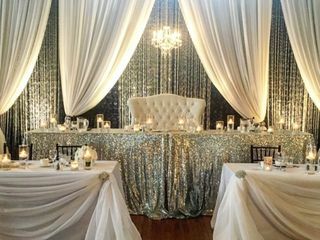 The staff at this venue works with couples on event planning, and even offers setup and cleanup assistance. There are bar and catering services offered through La Venezia, and guests will love the convenience of onsite parking. La Venezia made my daughters' wedding a dream come true. It was the most beautiful experience we have had. Thank you! Elizabeth and the team at La Venezia were PHENOMENAL. I can't say enough good things about them. They take care of everything. The food was great, the place is beautiful; small enough to be intimate but big enough to easily host a big party. 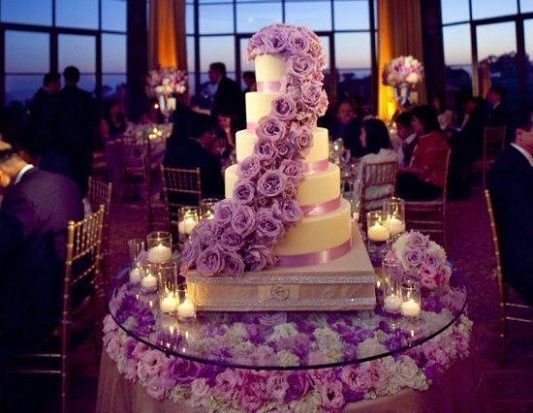 As Elizabeth says, all you need to bring is your cake, your DJ, and your centerpieces. Our wedding was perfect and a huge part of that was thanks to the tem at La Venezia.